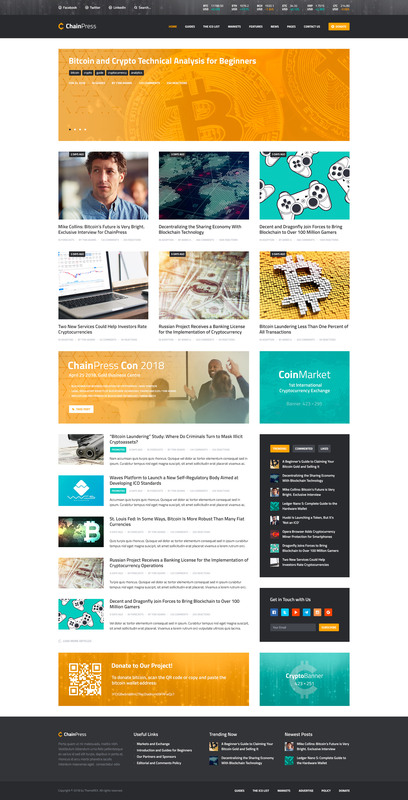 ChainPress is a trendy & clean Multi-purpose WordPress Theme. It is crafted for modern business & financial consulting, investment advising, tax assistance, contemporary corporate and individual companies. Also, it fits a financial firm, tax consulting bureau, accounting solutions, strategy planning, vibrant web and creative digital agency, economist analytics, startup company. Furthermore it is great for financial adviser, freelancer, lawyer, business coach, marketing and advertising services & analysis, financial and investment consulting, etc. The theme is also great for financial blog and business news. 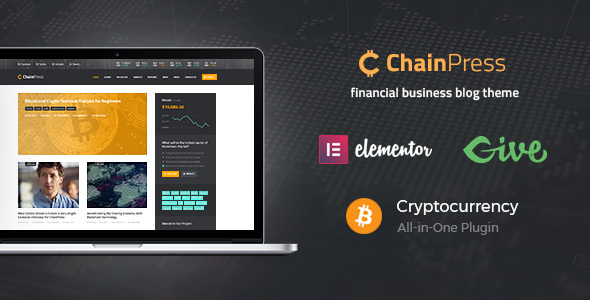 ChainPress is made with Elementor and is compatible with Essential Grid. 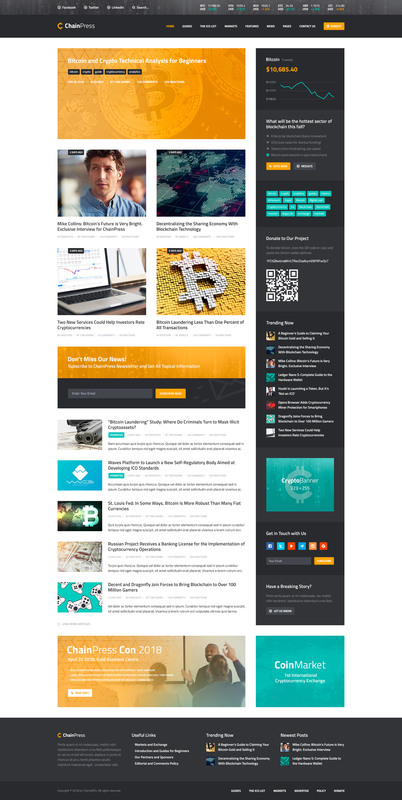 Since the theme can easily be used as a cryptocurrency blog, ICO agency or cryptocurrency business organization, the theme utilizes such powerful cryptocurrency plugins, as Cryptocurrency All-in-One and Cryptocurrency Widgets, also Give (Donations) to raise funds, Visualizer: Tables and Charts Manager for WordPress (Lite) to offer charts & graphs on your website, and many more other popular plugins.